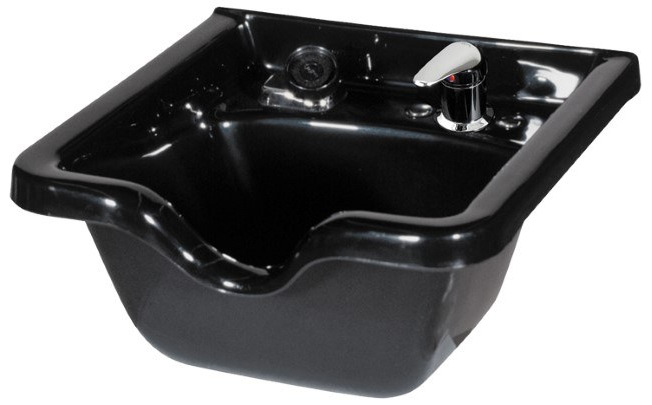 The Jeffco 8300 Shampoo Bowl is the industry's original injection-molded plastic bowl. Because it's such a value, the 8300 is likely the industry's ALL-TIME BEST-SELLING shampoo bowl. The 8300 Bowl comes with mounting bracket, 570 faucet, shampoo hose, hair strainer, drain assembly, and tail stock. The optional 388-ASC Vacuum Breaker is easily added. Additionally, the 8300 can optionally be equipped with the two-handle 555 faucet. The 8300, in basic BLACK, is available for immediate shipment.